We love art supplies! I get asked by almost everyone, “What supplies should I buy my kids?” I hope this page will answer any questions you may have about the fun and awesome art supplies we use. Even though this can seem overwhelming, a simple pencil and piece of paper will work just fine for most of our lessons. Most of our lessons are drawing lessons, so these are the supplies we use the most. For these projects your kids will need a Sharpie (or black marker), don’t forget they don’t have to use a marker. 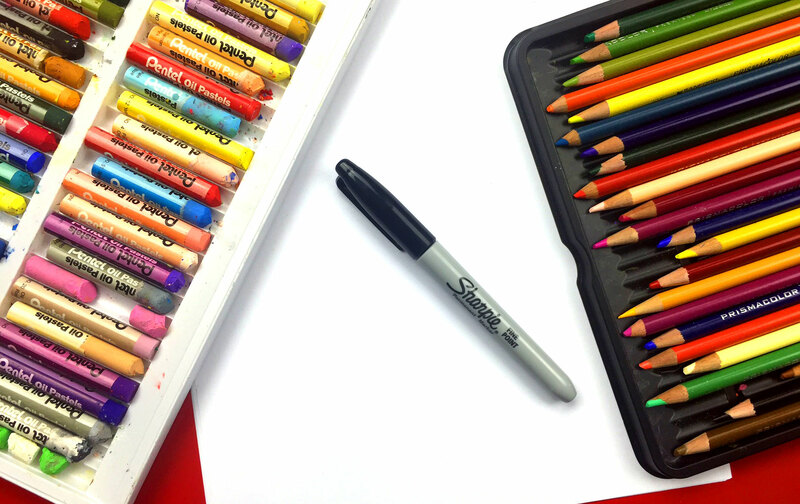 Read this post if you’d like to know why we love using a marker instead of a pencil. They’ll also need a sketchbook (always get a spiral bound, they’re easier to draw on) or just plain white printer paper. At the end of these drawing lessons we always color, we’ll either use oil pastels or colored pencils. I personally love Pentel oil pastels and Prismacolor pencils, but any brand will work fine. Some of our drawing lessons add an element of cutting and gluing. 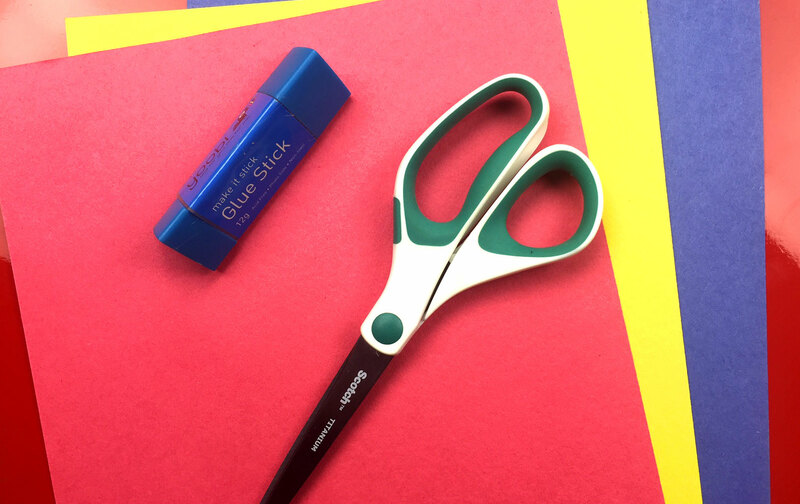 For these projects, we’ll use construction paper, scissors, and a glue stick. Shown above is are adult scissors, but children scissors are preferred. Children scissors will fit your child’s hand better, plus they’re much safer. Also, I prefer a glue stick over bottle glue. Glue sticks hold quicker and are a lot less messy. We don’t paint as often, but when we do having the right painting supplies makes all the difference. You can use regular printer paper, but I would highly recommend getting watercolor paper. This paper is design to get wet; it’s much thicker than regular paper. Your kids will also need two paint brush sizes, small and large. I don’t recommend using the brush that comes with a watercolor set; they are the worst 🙂 In our painting projects we’ll either use watercolor or acrylic, Tempera is ok, but I prefer acrylic. There’s two different types of watercolor, dry cakes (in the image above, it’s on the left) or tubes (top right, these are full of concentrated liquid). Tubes are more expensive but make watercolors so much more fun, because the paint is brighter and richer. 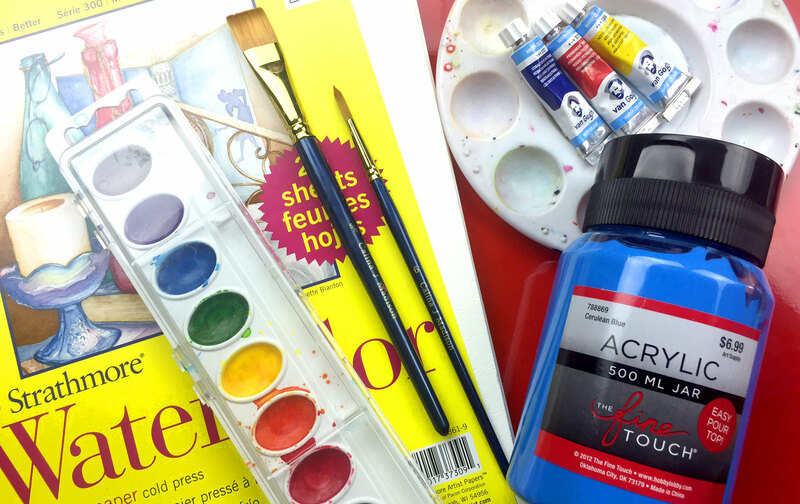 Acrylic paint comes in big bottles, which can make getting a lot of colors expensive, but they’ll last a long time. We love origami! For these lessons, your kids will need origami paper. I’ve found there’s two different kinds, standard origami paper (left) and cheap origami paper (right). 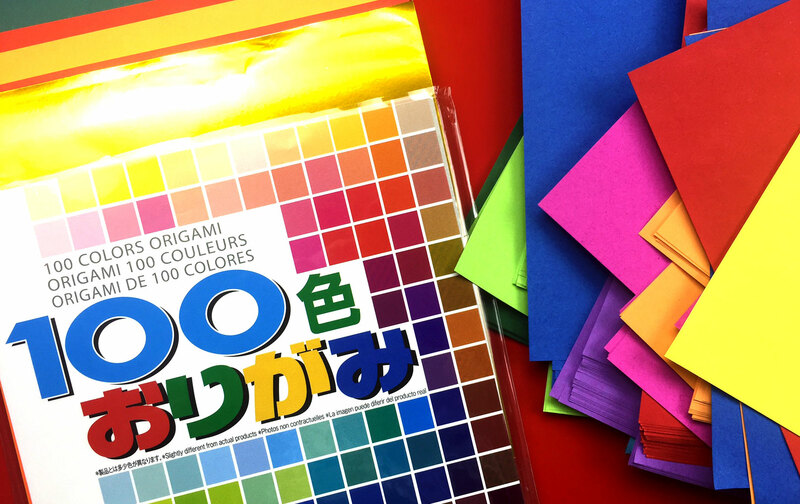 The cheap origami paper allows you to get a lot more for your money, but it’s usually thicker and colored on both sides. If your kids love origami and are a bit obsessed, get the right stuff. You can buy different styles of paper, solid color, pattern and even metallic. It also comes in different sizes. I usually get the largest size…but the super small paper is a lot of fun too. There’s something about grabbing a piece of clay and shaping something into life. Your kids will love our sculpting projects. You can use any clay to do these project (even Play-Doy). I recommend using Crayola’s Model Magic because it’s easy for little hands and doesn’t crumble. It also dries when they’re all done making their masterpiece. I only buy white, so we can paint it after it dries. 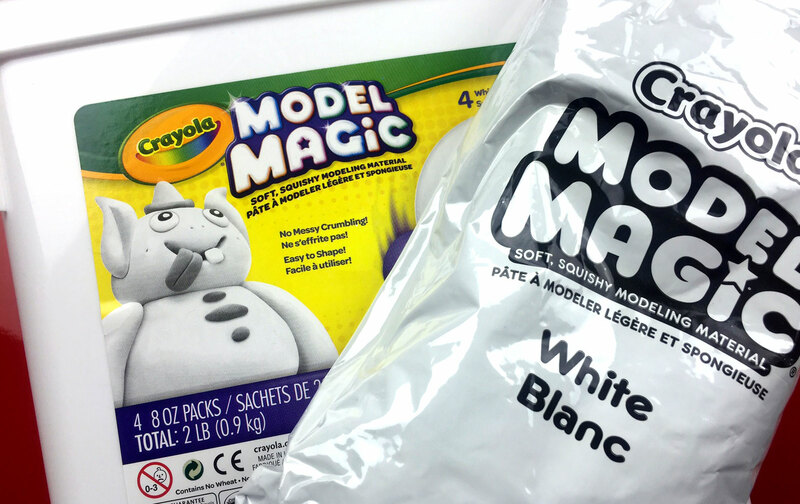 But Model Magic does come in all kinds of colors. Play-Doh is ok, but I don’t like the smell. It also crumbles and makes the biggest mess. Oil based clay is perfect for older artists, and it never dries out. Air dry clay is also great for older kids especially if they want to let it harden.